Headphones can make or break a workout. Music is a fantastic motivator, and being able to hear your music (while also being able to hear what’s going on around you) is incredibly important. And there’s nothing more annoying than having your earbuds fall out during an intense cardio session, when all you needed was that little extra kick from Taylor Swift (or whoever you work out to). The best dedicated sports earbuds are designed to stay in your ears, deliver great sound (without compromising on safety), and be durable enough to survive scrapes, bumps, sweat, and tears. Here are all the features you should look for when you shop for a pair of sports earbuds; plus, in-depth reviews of four new pairs of sports earbuds: Yurbuds Leap wireless earbuds, SMS Audio BioSport biometric earbuds, Sennheiser MX 686G sports earbuds, and Monster iSport Super Slim wireless earbuds. We reviewed four pairs of the latest fitness earbuds to help you find just rhe right set for your next workout. 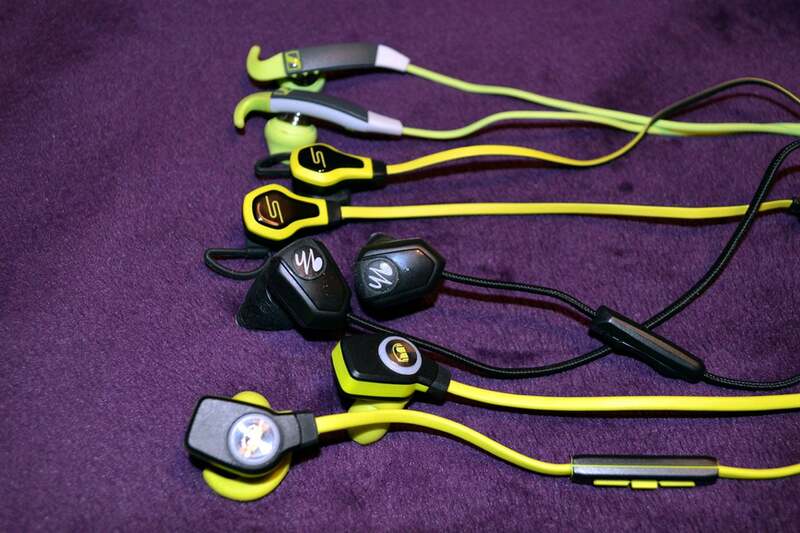 There are several factors to consider when picking out the perfect fitness earbuds. The most important factor—fit and comfort—is highly subjective. While I think that SMS Audio’s BioSport earbuds are some of the most comfortable earbuds I’ve ever worn, many will find their excessive softness annoying (the covers are extremely flexible). You’ll need to take your own aural anatomy into account when you’re shopping for fitness earbuds: If you have big ears, larger earbuds such as Yurbuds’ Leap wireless earbuds will be better for you than they will be for people with smaller ears. If you prefer stiffer ‘buds, Sennheiser’s MX 686G sports earbuds offer great sound quality. If you’re sensitive to wires touching the back of your neck, wireless earbuds probably aren’t for you. Fit and comfort are important in fitness earbuds because you’ll be using these buds in difficult circumstances—while you’re working out. Workouts are inherently physically uncomfortable, so any minor irritations (such as a nagging wire or a too-big earbud) will be amplified. Short of buying a pair of incredibly expensive custom-fit earbuds, you might find you need one pair of earphones for your workouts and a second set (or perhaps a set of conventional headphones) for your other listening sessions. 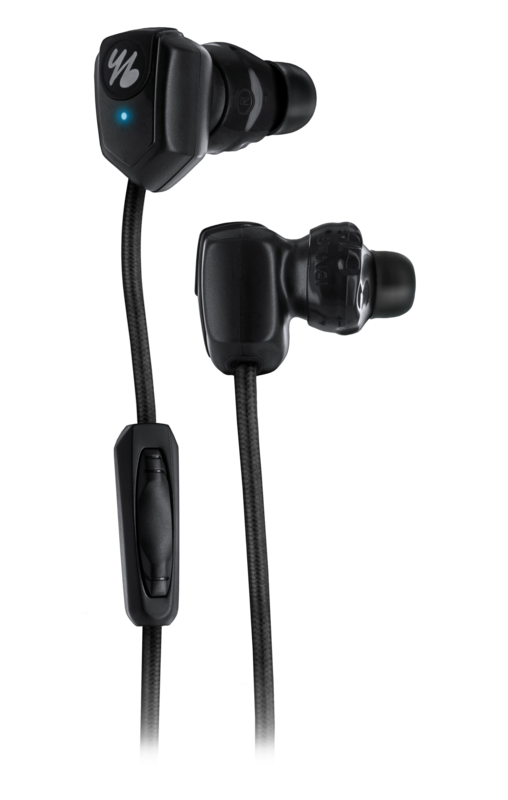 We liked the integrated heart-rate monitor in SMS Audio's brand-new BioSport earbuds, but cheaper Sennheiser MX 686G Sports sounded better. 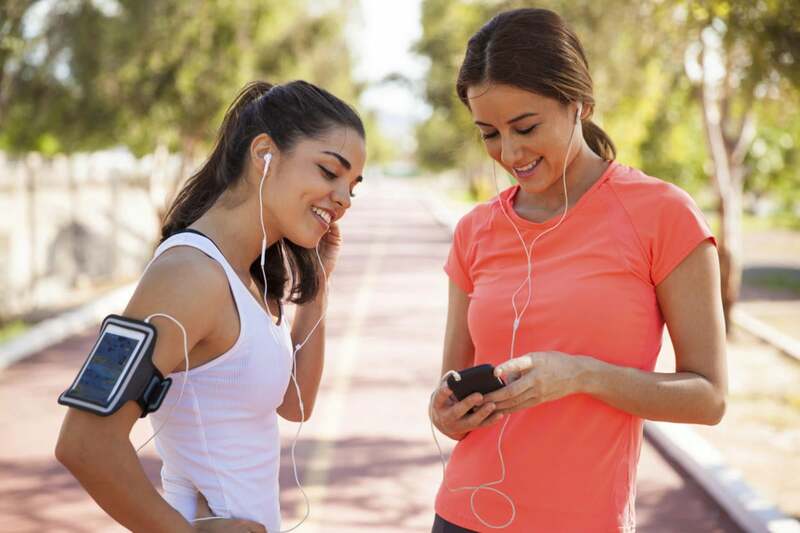 Most of today’s sports and fitness earbuds have many of the same features: flat, tangle-resistant cords; wire clips for attaching the surplus cable to your shirt, so it doesn’t flop around; bright colors to match your peppy workout clothes (some even have reflective strips for running at night); and sweatproof and water-resistant construction. If you’re a runner, a cyclist, or you enjoy exercising outdoors, you’ll want to look at earbuds that allow a bit of ambient noise to creep in, so you don’t get run over by a truck because you couldn’t hear it approaching. If you’re a lifter or a gym rat, wireless headphones are convenient because they won’t get caught on equipment. With Bluetooth radios offering range of about 30 feet, you can leave your phone in your bag instead of carrying it around with you. Fitness-specific headphones have been around for a few years now, which means companies have had time to perfect the style and functionality. The two newest innovations you’ll see in the latest crop of fitness headphones are wireless connectivity and audio/fitness-tracker hybrids. Most wireless headphones claim battery life of 12 to 20 hours (Plantronics’ BackBeat Pro reportedly lasts for 24 hours of continuous use), in reality, many deliver less than half that much. Yurbuds’ Leap wireless earbuds get about six hours of battery life, while Monster’s iSport Super Slim wireless earbuds get just under five hours. It’s just too difficult to fit a large battery in such a small and lightweight form factor. On the other hand, you probably don’t need all day battery life in earbuds you’ll use to work out with, because it’s unlikely you’ll be working out for that long anyway. As long as you charge the battery when you’re not using them, you should be golden. The Yurbuds Leap Wireless don't need a cable to connect to your phone, but there's still a wire connecting one bud to the other. Freedom from wires while you’re working with weights is a big deal. I can’t tell you how many times I’ve had my headphone cable get caught on a bar as I moved, pulling my smartphone out of my pocket, and dropping it on the floor. You should be aware, however, that “wireless” isn’t the same thing as “wire free.” Wireless earbuds still have a wire connecting the two pieces, and that wire goes around the back of your neck. The first pair of truly wire-free earbuds, HearNotes, debuted at CES 2015 and will be available this year. Unlike most wireless headphones, HearNotes uses Kleer technology instead of Bluetooth, and will reportedly boast 12 to 20 hours of battery life. If you’d like to limit the number of high-tech gadgets adorning your body during your workouts, you might consider earbuds that include some of the features of a fitness tracker. SMS Audio’s BioSport earbuds have a built-in heart rate monitor that monitors your heart rate by way of your ear. While not yet on the market, the Bragi Dash wireless earbuds will perform as a smart pedometer and performance tracker in addition to playing your favorite tunes. Unfortunately, I can’t name any particular pair of fitness earbuds as the “best.” I can tell you which of these four sets delivered great and fit my anatomy particularly well, but the best product for you will depend on what you consider comfortable and the types of workouts you engage in. But I will say this: If you find a pair of wireless earbuds that are reasonably comfortable and don’t fall out of your ears, there is nothing more freeing than working out without wires. Yurbuds’ “twist-lock” technology might not be the most comfortable, but it will keep your earbuds from falling out of your head. Having a hear-rate monitor in your earbuds is a surprisingly useful and convenient feature. But these phones would be much more appealing if they also delivered a stellar audio performance. 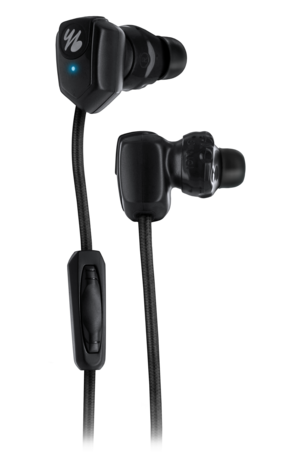 Sennheiser's MX 686G Sport earbuds offer some of the best sound quality you'll find in fitness headphones. These supremely thin earbuds are geared toward those who like their music bright and peppy.